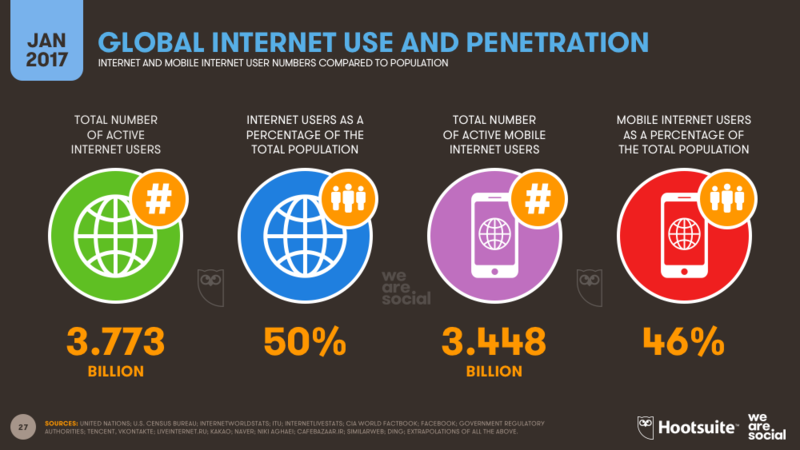 Today marks a momentous milestone for all things digital, with the new Digital in 2017 Global Overview report from We Are Social and Hootsuite revealing that more than half of the world’s population now uses the internet. 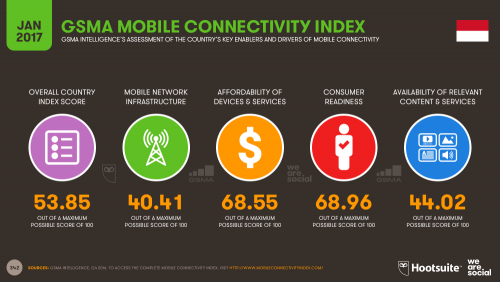 Our findings have exciting implications for businesses, governments, and society in general, but they’re also testament to the speed with which digital connectivity is changing the lives of people all over the world. It’s only been 25 years since Tim Berners-Lee made the ‘World Wide Web’ available to the public, but in that time, the internet has already become an integral part of everyday life for most of the world’s population. Digital in The Middle East 2017: regional and national data for every country in the region. The good news is that you don't need to wait to discover many of the highlights from this year's reports though; simply read on below for the key stats, together with our analysis of what all these numbers mean for businesses and organisations in 2017. Ericsson, for publishing their ever-insightful Mobility Reports. 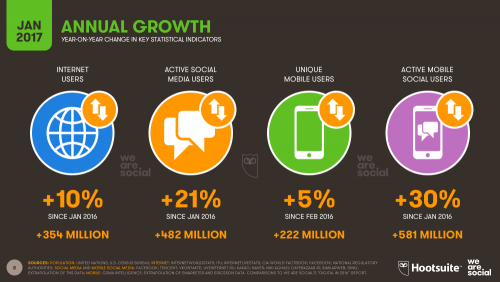 Mobile social media users grew by 30%, up an impressive 581 million in 2016. Internet users grew by slightly more than they did in 2015, while social media and mobile social media users were up by more than double the number of new users we reported last year. The rate of growth for unique mobile users increased by more than half compared to last year, with 81 million more new users in 2016 compared to the growth we reported in last year’s analysis. We’ve also been able to report social media user numbers for both Syria and Sudan this year, which were our only two social media 'gaps' in last year’s 2016 Digital Yearbook. We'll be sharing the numbers for these two countries - together with updated user numbers for Cuba and Iran, as well as more than 230 other countries - when we publish our 2017 Digital Yearbook in the next few days. It’s also interesting to note that developed economies’ share of global digital users dropped this year, as digital growth in Asia-Pacific - particularly in South and Southeast Asia - moved the balance further East. APAC is now home to more than half the world’s internet users, 54% of the world’s social media users, and 56% of all mobile social media users. Once again though, it’s the pace of change that tells the most interesting story here: Asia-Pacific accounted for 70% of total growth in global internet users, 62% of the growth in social media users, and 64% of the growth in mobile social media users. The pace of change in APAC show no signs of slowing either, and we’re confident that 2017 will be another bumper year for growth across the Far East, especially in Southeast Asia. Digital in Africa grew only slightly in 2017, although the internet user data we’re reporting this year reflects some significant source corrections versus our 2016 report. 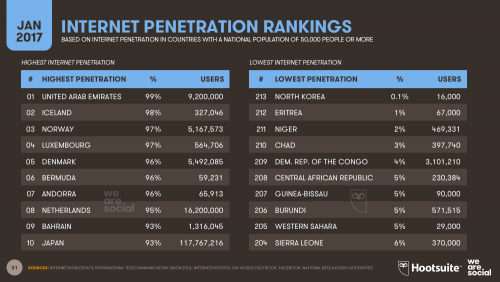 In particular, the number of internet users reported by official sources for Egypt, Malawi, and Eritrea have all been revised down considerably, which has the effect of negating many of the gains posted by other nations. 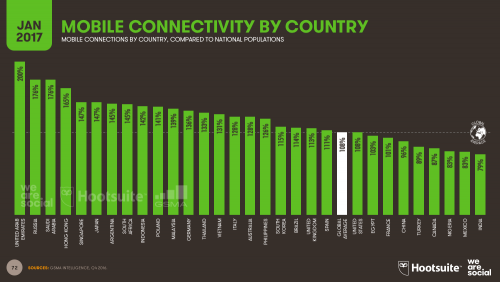 However, 7 of the 10 fastest growing internet populations in the world are in Africa, with the number of users reported in Ethiopia more than tripling versus the numbers we reported last year. Fewer than one in three people across Africa has access to the internet today though, and current growth trends suggest we’ll be well into the 2020s before we see internet penetration levels across the continent pass the 50% mark. On a more encouraging note, though, mobile social media use in Africa increased by nearly 50% in 2016, although at just 12% penetration across the region, there’s still plenty more room to grow. The Americas posted some impressive gains in the past 12 months, with 53 million new internet users delivering an 8% year-on-year growth in regional penetration. Much of this growth came out of Central and South America - perhaps unsurprising given the existing high rates of penetration in North America - but the United States alone contributed 22 million (25%) of the 88 million new social media users across the region in the past year. The total number of mobile connections across the Americas dropped slightly through the year though, most likely because people have been consolidating multiple subscriptions. 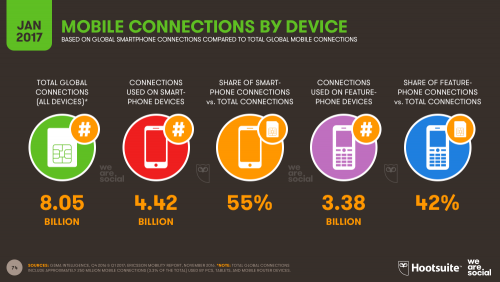 This is a phenomenon we’ve been seeing all over the world; increased use of smartphones is enabling greater access to “over-the-top” data services such as VOIP and mobile messaging, most of which are significantly cheaper to use than ‘traditional’ voice calls and SMS, thus removing the need to maintain multiple mobile plans or contracts in order to benefit from intra-network price deals. Digital growth across Asia-Pacific accelerated versus growth over the previous 12 months, with internet users up 15% year-on-year to pass the 1.9 billion mark. Social media growth rates accelerated by more than 50% versus 2015, with social media use overall up 25%, compared to 14% growth in last year’s report. 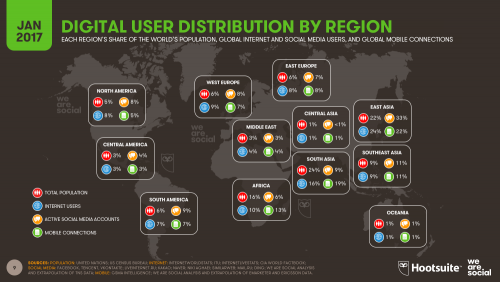 More than 1.5 billion people across APAC now use social media on a monthly basis, with 95% of them accessing platforms via mobile devices - the highest ratio in the world. Europe posted slightly slower digital growth than other parts of the world in 2016, but the region is building off a well-established base, so that’s perhaps unsurprising. Internet users were still up 21 million to a new total of 637 million though, representing 3% year-on-year growth. Social media use in Europe grew by 5% to pass 400 million total users across the continent, while mobile social media was up 11% versus our 2016 report, with 340 million people across the region using social media via mobile devices each month. The Middle East claims top spot in this year’s growth rankings though, with all key indicators showing impressive growth. Internet users are up 15% year-on-year, with the regional total rapidly approach the 150 million mark. Social media use overall grew a staggering 47% in the past 12 months, with mobile social media up 44%. Penetration for both key social indicators remains below 40% though, so there’s still plenty of room for more impressive growth in 2017. As we noted at the beginning of this analysis, the standout finding of this year’s report is that more than half of the world’s population now uses the internet. 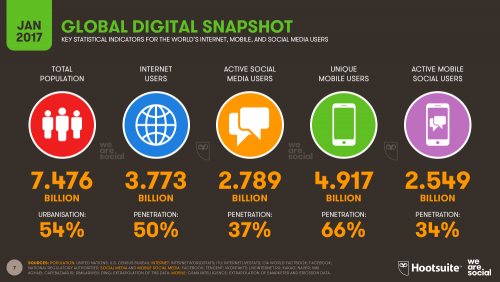 What’s more, the growth of internet use continues to accelerate around the world, with global user numbers up by more than 80% in the 5 years since our first Global Digital report in January 2012. 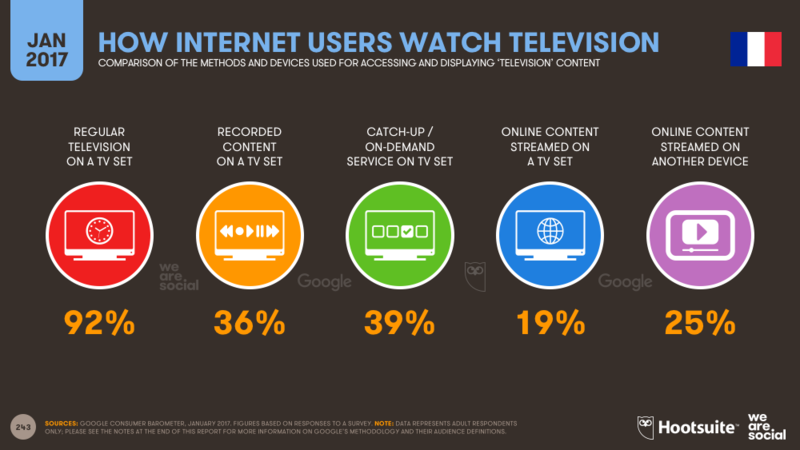 As we note every year though, the growth in reported internet users may be as much the result of more accurate and timely reporting as it is representative of the addition of ‘new’ users. This year’s figures slightly outpace the growth in internet user numbers we reported last year though, with this year’s increase of 354 million more than 20 million more than the increase of 332 million that we reported in our 2016 report. 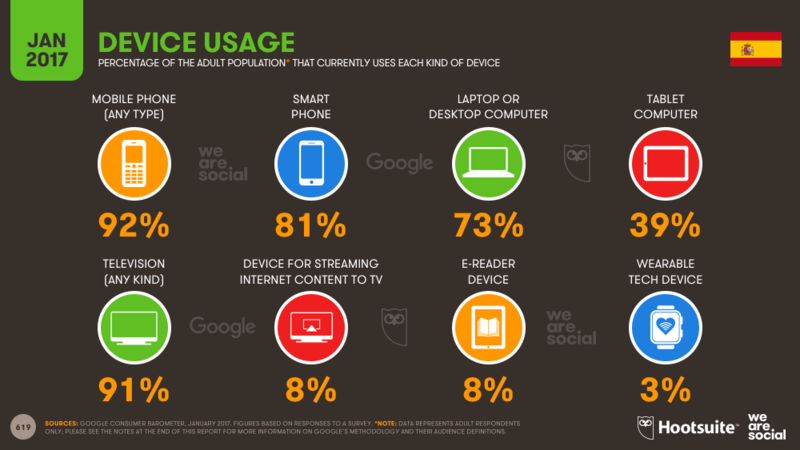 We’re also pleased to be able to offer a figure for global mobile internet use this year too, with our latest data suggesting that more than 90% of the world’s internet users go online via a mobile device. Our research suggests that it’s often difficult to identify a single figure for ‘internet users’ in any given country though, as people use ever more diverse devices and means to access connected services. As a result, we’ve decided to include active Facebook users as a meaningful proxy for internet users in cases where the reported number of internet users is significantly lower than the latest user data reported by Facebook. 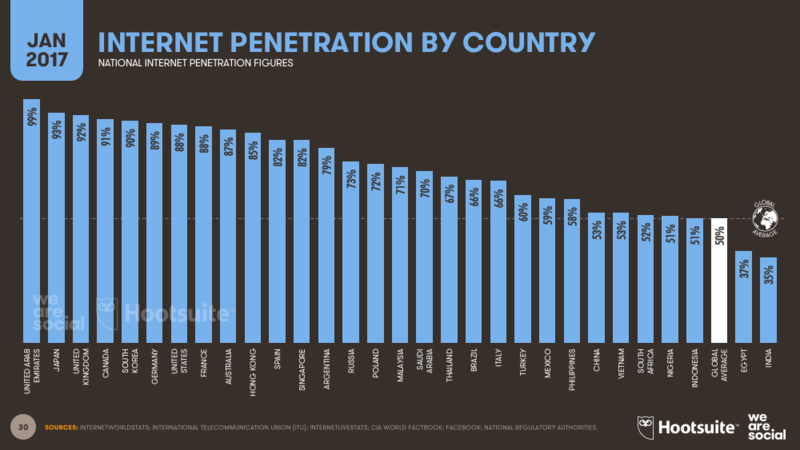 Whilst the number of Facebook users isn’t a perfect proxy for internet users - critically, it likely under-represents the true number of internet users in any given country by a significant margin - Facebook’s data is updated on a regular basis, and critically, people wouldn’t be able to access Facebook without some form of internet connection. 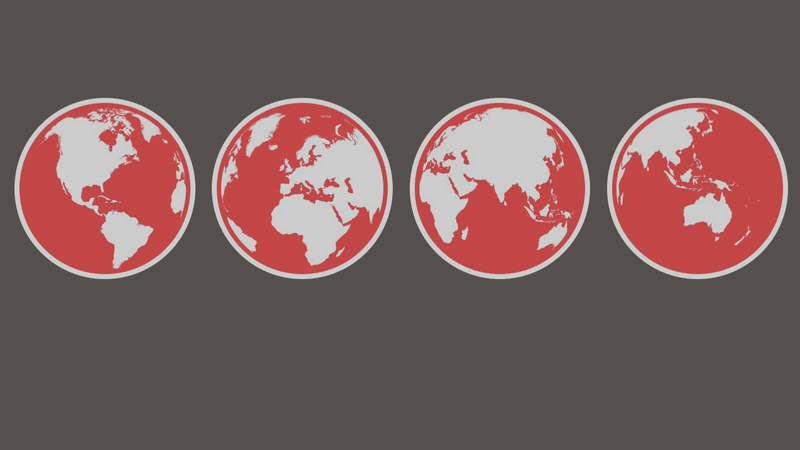 To provide a balanced view of internet use around the world, we’ve included a range of internet user numbers from different sources in this year’s report, to allow readers to make their own choice on the most ‘representative’ number. 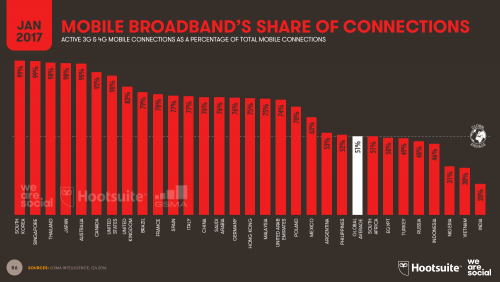 However, despite these new data sources - and despite all the impressive gains we noted above - internet access is still very uneven around the world. 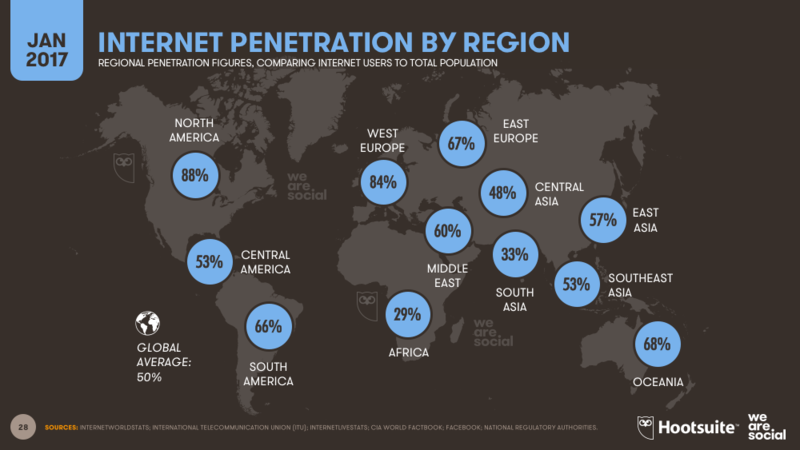 In particular, internet penetration remains disappointingly low in South Asia - the world’s most populous region - and Africa, where fewer than 1 in 3 people access the internet today. With the exception of North Korea - where the internet as the rest of the world knows it is still blocked - the countries with the lowest levels of internet penetration are all in Africa. At the other end of the scale, internet penetration rates are approaching 100% in a number of countries, with the United Arab Emirates taking top spot, closely followed by Iceland and Norway. 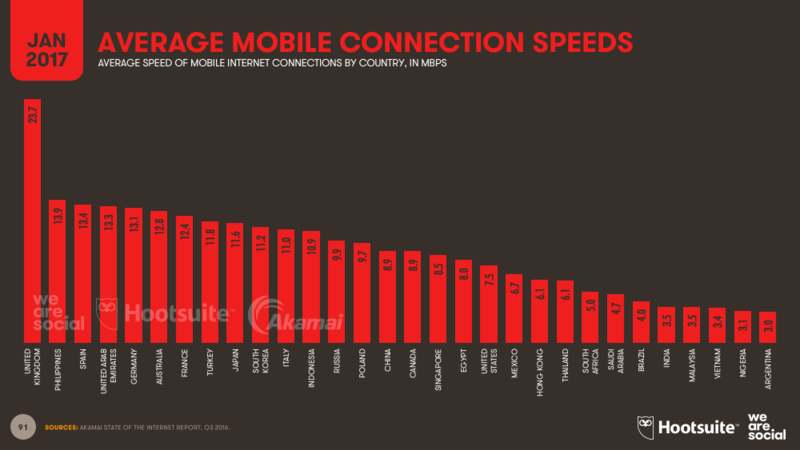 When it comes to speed of access, things are getting quicker all over the world too, although Akamai’s latest State of the Internet report shows that internet users in many countries - notably India - still suffer from disappointingly slow connections via both fixed and mobile services. 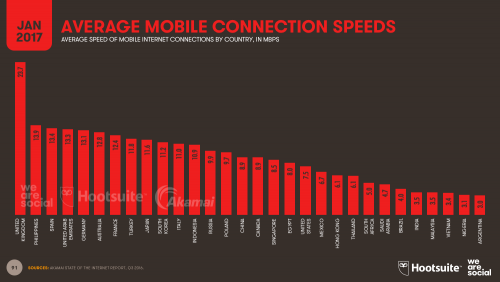 The good news is that mobile internet connections have improved considerably in many developing economies, with The Philippines in particular enjoying an impressive jump in average mobile connection speeds. 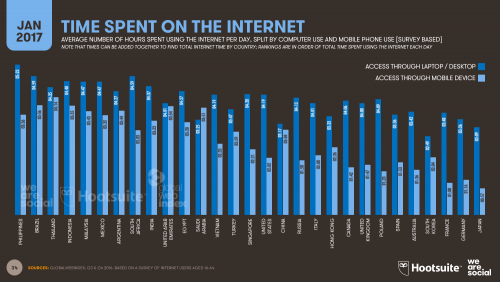 Faster mobile internet access may be one of the reasons why Filipinos spend more time on the internet than people in any of the other 29 countries we profile in-depth in our Digital in 2017 report. 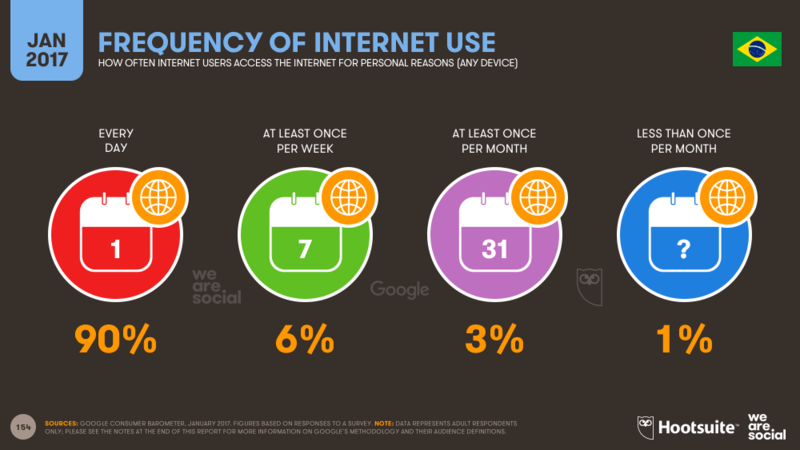 The latest data from GlobalWebIndex - who’ve been kind enough to share their valuable data publicly again in this year’s report - show that the average Filipino internet user spends a whopping 9 hours online each day, with mobile access accounting for more than three and a half of those hours. People in 9 of the countries we covered spend an average of more than eight hours each day using the internet, and it’s interesting to note that all of those countries appear at the lower end of the associated economic rankings. The combination of faster mobile connections and improved access to smartphones has delivered another of the key findings of this year’s report: more than half of all web pages are now served to mobile phones. Mobile’s share of web traffic is up 30% year-on-year, with the majority of this increase coming from the world’s developing economies. 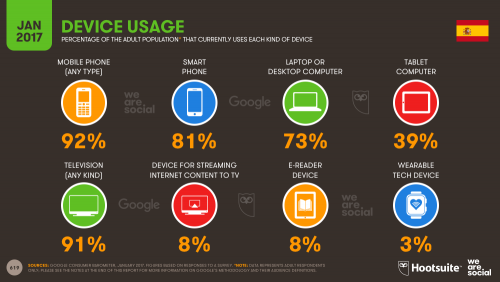 Some readers might interpret the numbers on the slide above as suggesting that computer and tablet access has dropped, but this is unlikely; rather, there has likely been a dramatic increase in the number of people accessing the web via mobile phones in the past year, and as a result, other devices’ respective share of the total number of web pages served has dropped. 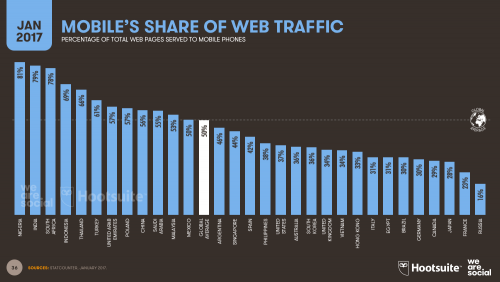 As with many other indicators in this year’s report though, mobile’s share of web traffic varies considerably between countries. Nigeria tops the mobile share ranking, with phones accounting for more than 4 out of every 5 web pages served; Russia comes in at the other end of the scale, with barely 1 in every 7 web pages served to a mobile phone. 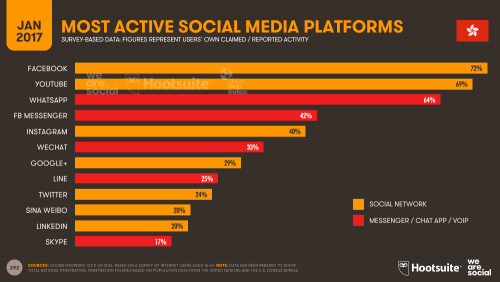 Social media use surged by more than 20% in 2016, with Facebook in particular posting impressive increases, despite already being the world’s most popular social platform for the past decade. Nearly 2.8 billion people around the world now use social media at least once a month, with more than 91% of them doing so via mobile devices. Social media use has grown 21% year-on-year, with almost half a billion (482 million) new users signing up over the course of 2016. 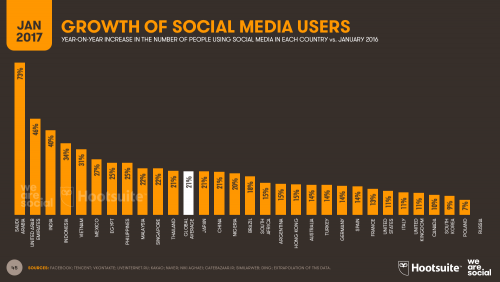 Just five countries accounted for more than half of that growth: China, which posted 134 million new social media users over the past 12 months, India (+55 million), Indonesia (+27 million), the USA (+22 million), and Brazil (+19 million). In the countries we cover in-depth in this year’s report, Asian countries dominate 4 of the top 5 positions in the social media penetration rankings, but it’s worth noting that social media penetration levels vary wildly across the region as a whole. Indeed, together with Africa, Central and South Asia record the lowest levels of social media penetration on the planet, although the latest trends do suggest that growth is finally starting to pick up in South Asia. At the other end of the scale, nearly two-thirds of North Americans use social media each month, and social media penetration in South America is rapidly approaching 60%. Current trends suggest that Southeast Asia will pass the 50% social penetration mark later this year, but it may take a little longer for The Middle East to pass the halfway mark. The latest data show that 8 countries around the world now have social media penetration levels in excess of 80%, although it’s possible that the penetration figures for both Qatar and The United Arab Emirates are skewed by short-term fluctuations in migrant populations (for example, expatriates working in Qatar to help prepare the country for the FIFA World Cup in 2020). 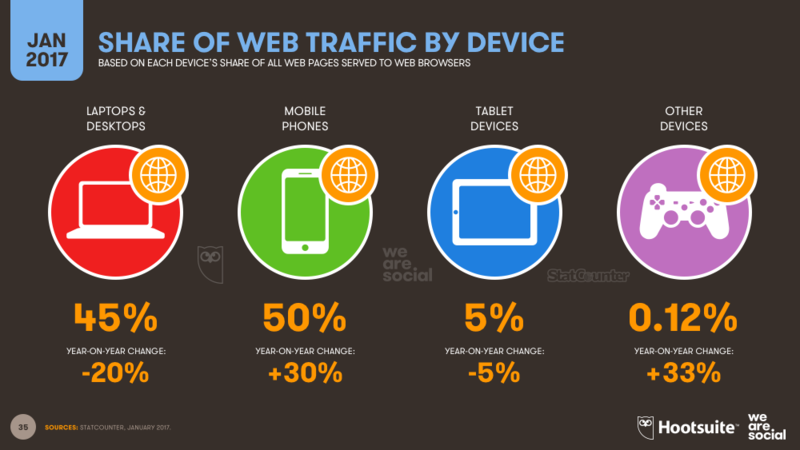 Social media growth trends tell an interesting story too, especially when we look at relative growth (i.e. the percentage change versus last year). 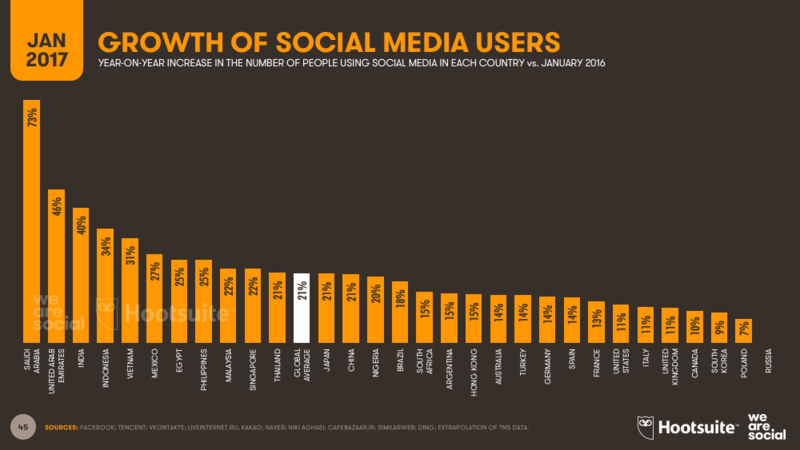 This year’s big growth story is Cuba, where social media users jumped 368%. Some of this growth may be in part due to more timely and accurate reporting of the relevant data, but it’s clear that people in Cuba are starting to enjoy better access to the internet and social media too. There’s still a long way to go before all Cubans can enjoy full digital connectivity, but it’s hugely encouraging to see the growth that’s already taking place. It’s also heartening to see North Korea in the top growth charts, but the 135% relative increase only translates into a meager 9,200 new social media users, and most of these are likely to be foreign aid workers who are only visiting the country. Sadly, North Korea remains at the bottom of almost all of our global rankings across key digital indicators. Myanmar’s digital growth tells a much more inspiring story though; until 5 years ago, Facebook was still officially blocked in the Southeast Asian state, but recent political changes have triggered a dramatic shift in the country’s digital connectivity. Today, Facebook reports it has 14 million users in Myanmar, and almost half of these - 6.4 million users - joined the platform in the past 12 months alone. 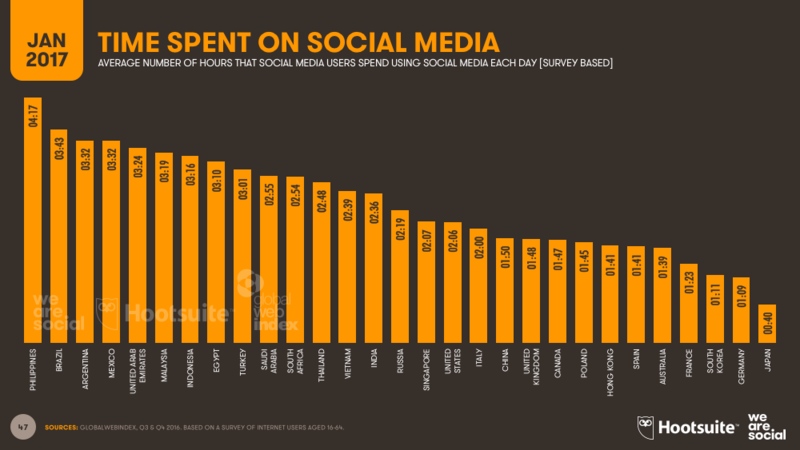 People around the world are spending more time using social media too; data from GlobalWebIndex shows that the average social media user in the countries we cover in-depth in this report now spends 2 hours and 19 minutes using social platforms each day. 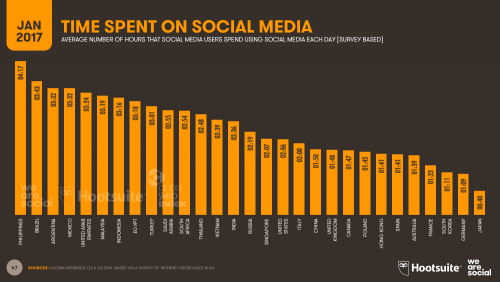 The Philippines tops the ranking for time spent on social media amongst those countries, with Filipinos spending a full half-hour longer on social media each day than users in second-placed Brazil. 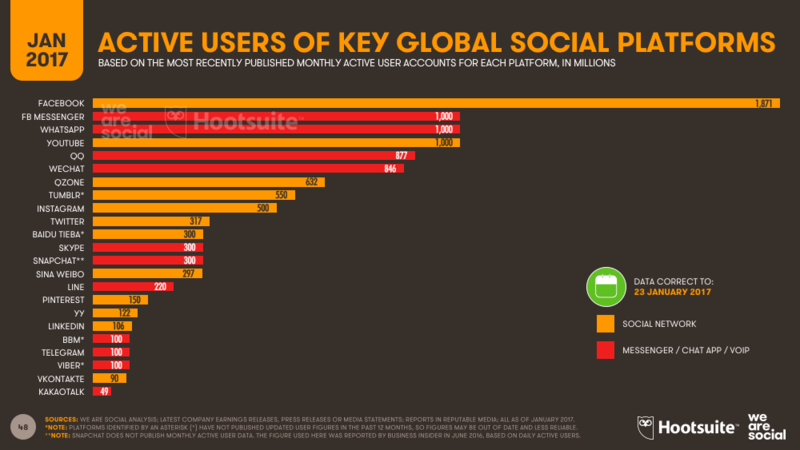 All this growth has translated into yet another good year for the world’s top social media platforms too, with most companies recording another year of impressive growth. Following numerous requests, we’ve decided to include YouTube in this year’s report, which joins the prestigious handful of platforms with more than 1 billion users. 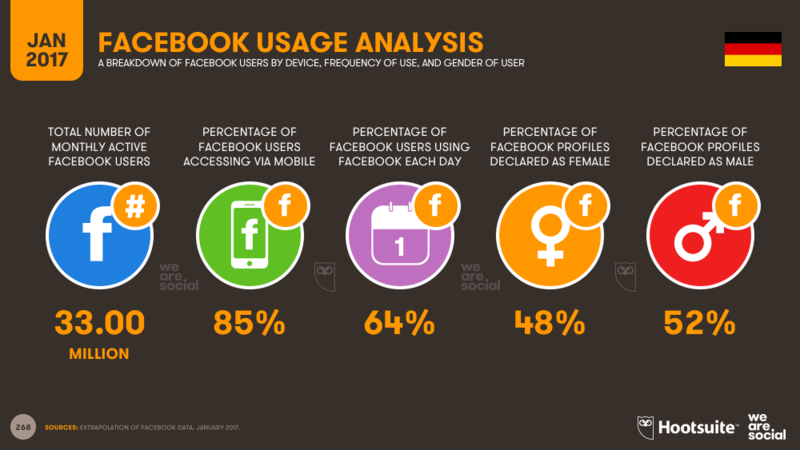 Facebook accounted for the lion’s share of total social media user growth last year, increasing its global footprint by 363 million monthly active accounts in 2016, and delivering year-on-year growth of 24%. 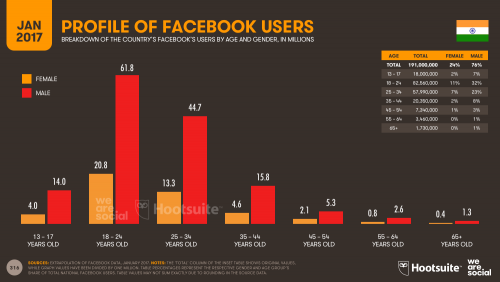 More than one billion now people use Facebook every day, meaning that more than half of all active Facebook users use the service on a daily basis. The company’s other top platforms - WhatsApp, Facebook Messenger, and Instagram - all reported strong growth over the year too, and while there’s likely to be considerable user duplication across their platforms, Facebook Inc.’s combined audiences now total more than 4.37 billion. Tencent, China’s social media giant, posted another impressive year in 2016 too, with its flagship WeChat platform growing by 196 million monthly active accounts since last year’s global report. Indeed, current growth and usage trends suggest that WeChat will overtake QQ (also owned by Tencent) to ‘officially’ become China’s most active social platform in time for Tencent’s next earnings report. 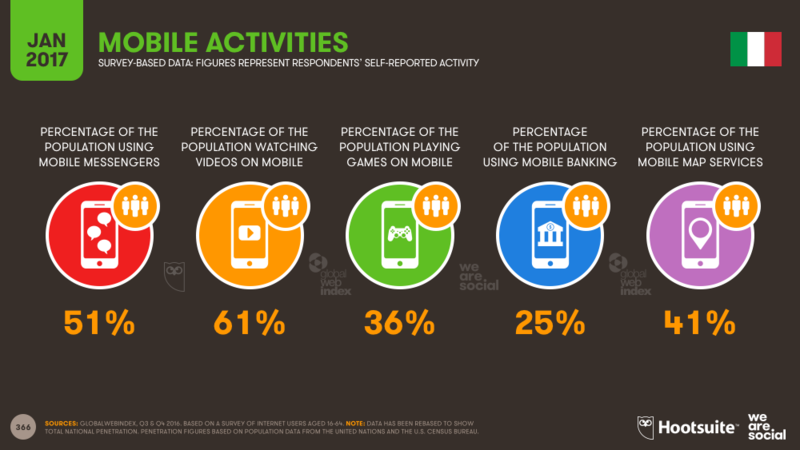 In fact, it’s likely that more individuals already use WeChat than QQ, but the latter records the higher number of monthly active ‘users’, because many users maintain more than one active QQ account / profile. VKontakte remains the top social network in Russia, although we’ve revised the platform’s overall numbers down this year as a result of more transparent reporting by the company. 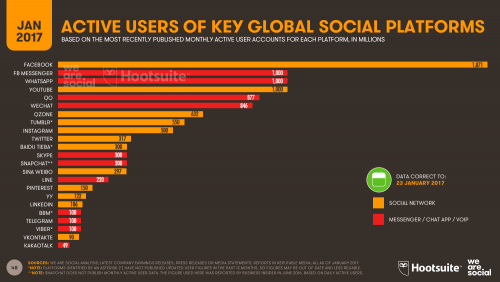 VKontakte reports 90 million monthly active users around the world, almost 70% of whom live in Russia. 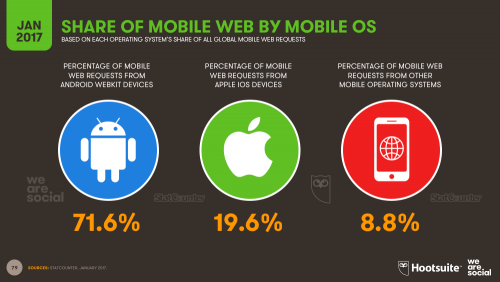 The platform is also popular in Belarus, the Ukraine, and Kazakhstan. LINE remains the number one social platform in Japan, with national penetration surpassing 50% of the population in 2016. 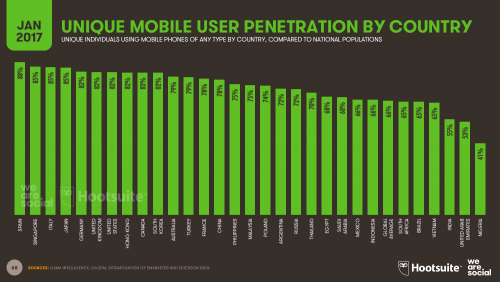 LINE reports that it has 64 million monthly active users in Japan, with a further 98 million MAUs spread across Taiwan, Thailand, and Indonesia, although our analysis suggests that Facebook is still ahead of LINE in each of these three countries. 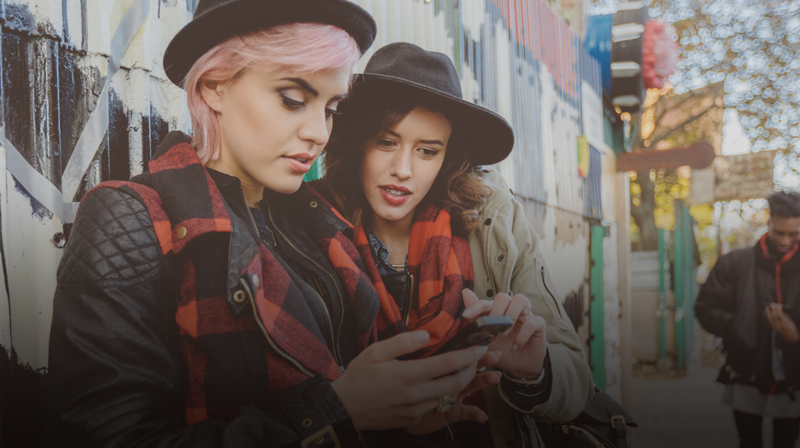 Kakaotalk maintains its lead in South Korea, with the platform’s latest earnings release reporting that the messenger service now has almost 42 million monthly active users in the country, accounting for 85% of the platform’s total global audience. 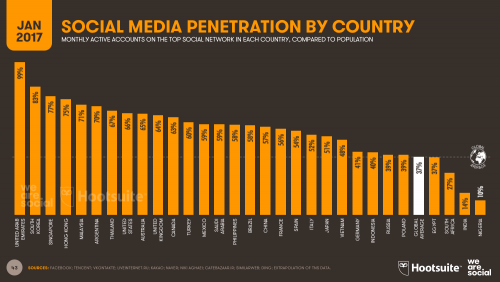 Facebook doesn’t publish user data for Iran, but Niki Aghaei - our trusted source in Tehran - has shared the latest snapshot of social media usage in the country. Telegram appears to top Iran’s platform usage rankings, with 17 million ‘active installs’ in the country, but Instagram follows close behind with 15 million active installs. 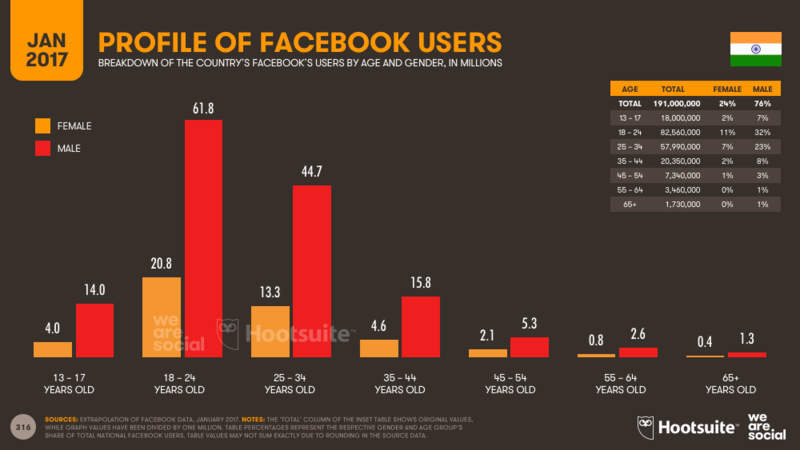 Facebook doesn’t publish data for Cuba, Sudan, or Syria either, but we’ve used a variety of recent and relevant data to extrapolate the likely number of social media users in each of those three countries for this year’s report, and you can find those stats as part of our upcoming 2017 Digital Yearbook report, which includes headline digital data for 239 countries around the world. Look out for that here over the next few days. The numbers for social media overall are already impressive, but the standout story in social media in 2017 is mobile social - just as it has been in our reports every year for the past three years. 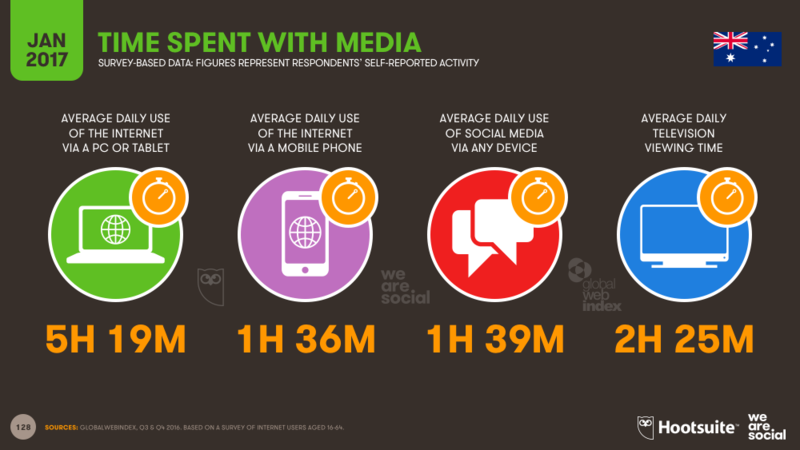 Despite this common thread, the accelerating growth of mobile social media use shows no sign of slowing. The latest data show that more than one-third of the world’s population - 2.5 billion people - now access social media services via mobile devices each month, and that figure grew by 581 million in the past year alone. 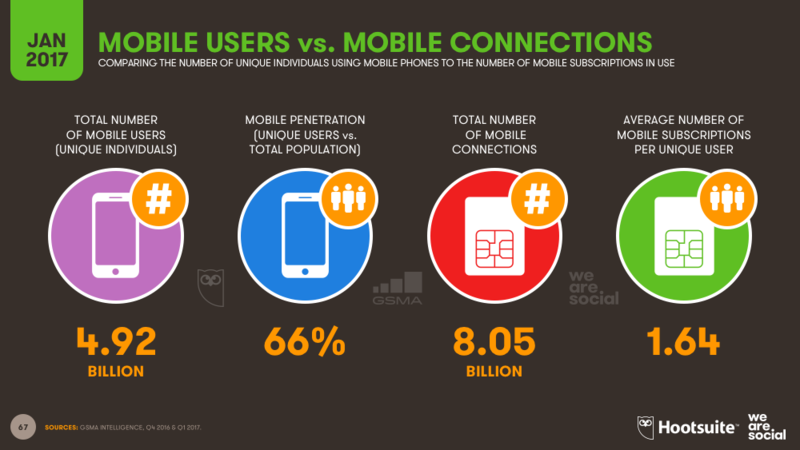 To put that growth in perspective, roughly 8% of the world’s entire population started using mobile social media in the past 12 months, at a rate of more than 18 new users every second. To give you a sense of what that means, in the time it takes you to read this sentence, more than 100 new users will have started using mobile social media. 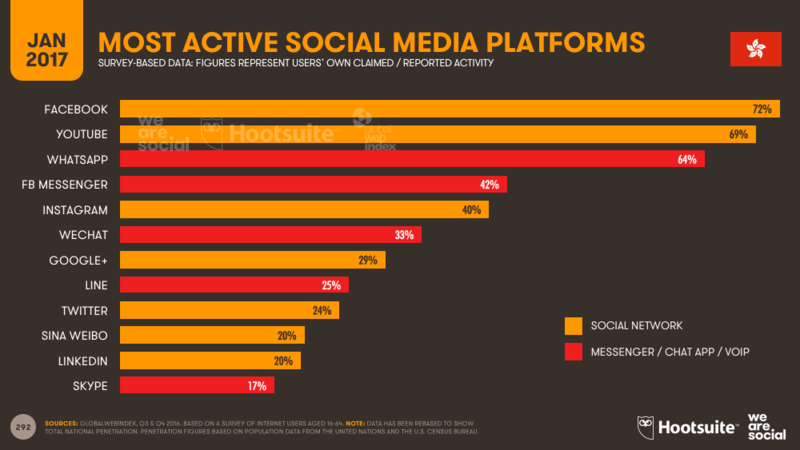 Despite these impressive numbers, we project that the total number of mobile social media users may be even higher; most of the world’s top mobile messenger platforms don’t break out their user numbers by country, so it’s difficult to know the latest picture at a granular level, but the data we have seen suggest that messengers may be the most active social platforms in a number of countries around the world, which would boost global social user numbers even further. Individual country stories reveal some interesting nuances however, highlighting the importance of mobile messengers across the countries in East Asia. In particular, 83% of South Korea’s population now uses KakaoTalk each month - a penetration rate surpassed only by mobile Facebook usage in Qatar and The United Arab Emirates. 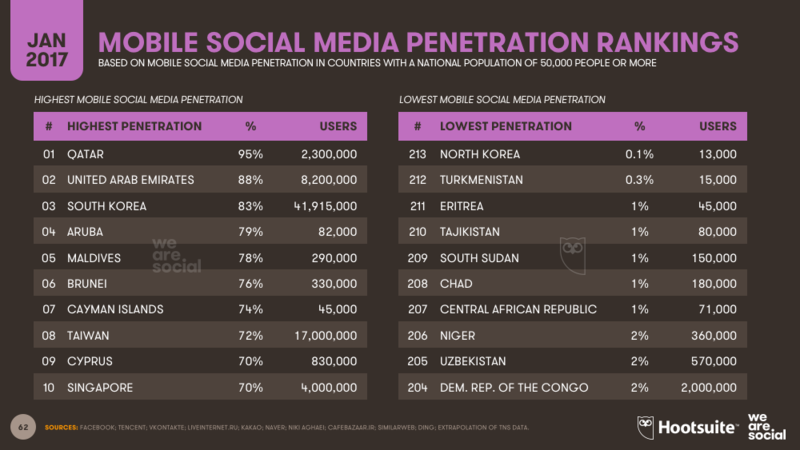 In total, 10 countries have mobile social media penetration rates in excess of 70%, but 43 countries have penetration rates of less than 10%, the majority of which are in Africa. Almost three-quarters of the world’s population now uses a mobile phone, with the total number of unique global mobile users rapidly approaching 5 billion. 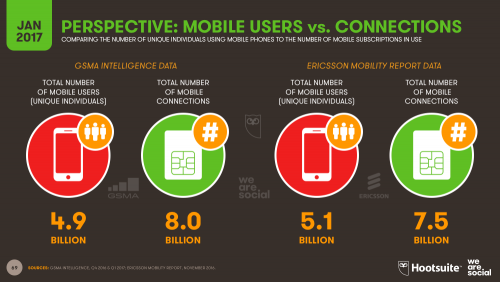 GSMA Intelligence and Ericsson report slightly different numbers for both unique users and active mobile connections, but the overall trend is clear: mobile phones are now an indispensable part of everyday life for most people around the globe. 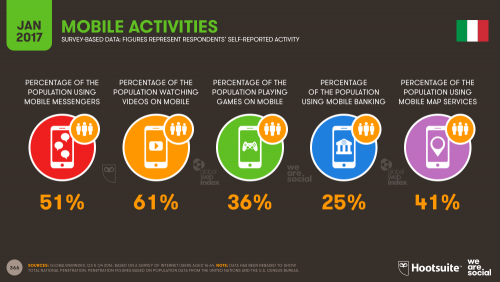 The latest data also strongly suggest that more than half of the world’s population now uses a smartphone, delivering yet another major milestone in this year’s report. 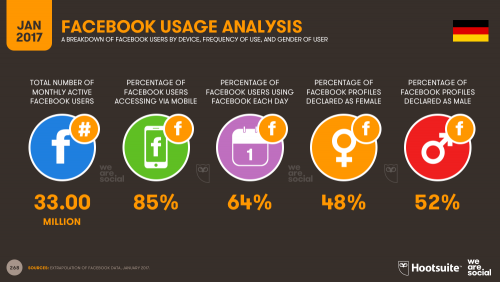 It’s likely that this finding is directly tied to the increases in internet and social media usage we reported above, especially when we consider that smartphones are already used by 80% of all of Facebook’s active users around the world. 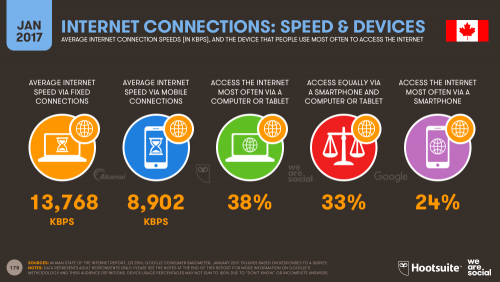 What’s more, with the price of smartphones and data plans continuing to fall around the world, convenient, always-on internet access will become even more accessible to the world’s ‘unconnected’. Indeed, of the countries we’ve profiled in-depth in this year’s report, only Nigeria records a mobile penetration rate (based on unique users) of below 50%. Inevitably, the picture still varies from region to region and country to country, but regional mobile connectivity rates show similar patterns to those we’ve seen for internet and social media penetration. 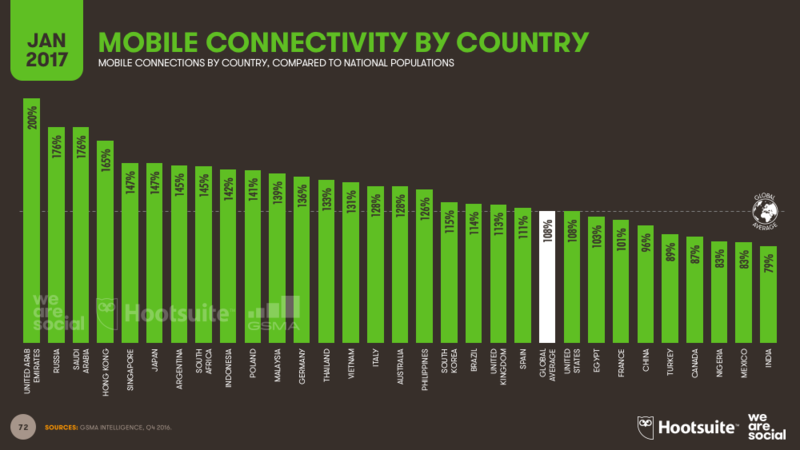 When it comes to mobile subscriptions data, South Asia and Africa register the world’s lowest levels of connectivity compared to local populations, with people in Eastern Europe maintaining the highest number of active mobile connections. Macau holds top spot in the global connectivity rankings, with active mobile connections equating to almost 3 times the total national population. 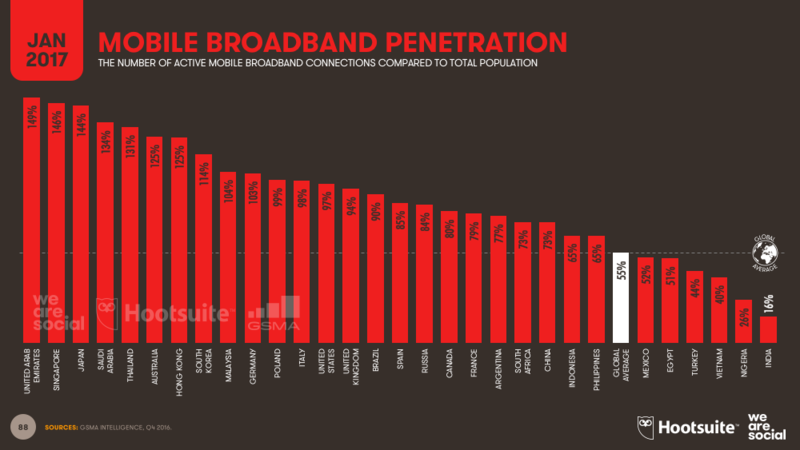 Bahrain, The Maldives, and The United Arab Emirates also record connectivity rates of more than 200% versus their respective national populations. At the other end of the scale, The Federated States of Micronesia records the lowest levels of mobile connectivity in the world at just 4%, but this is perhaps unsurprising given its geographical position; the country is made up of 607 separate islands spread across 2.6 million square kilometres of the Pacific Ocean, and each island is so small that the country’s total landmass equates to less than that of Singapore, making it unfeasible for the country to invest in conventional mobile infrastructure. 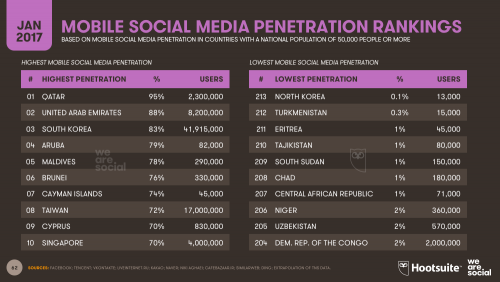 Eritrea comes in second-to-bottom of the global mobile connectivity rankings, with the number of active mobile connections in the country equating to just 11% of its national population. Interestingly, the average number of connections per unique user continues to fall, likely thanks to the widespread adoption of smartphones and 'over-the-top' (OTT) data-powered services such as VOIP and mobile messaging. Ericsson reports that smartphones now account for 55% of all active connections - a considerable jump from the 46% we reported in last year’s report. 70% of the world’s mobile users pre-pay their connection plans - i.e. ‘pay-as-you-go’ - with this figure down from 76% in last year’s report. 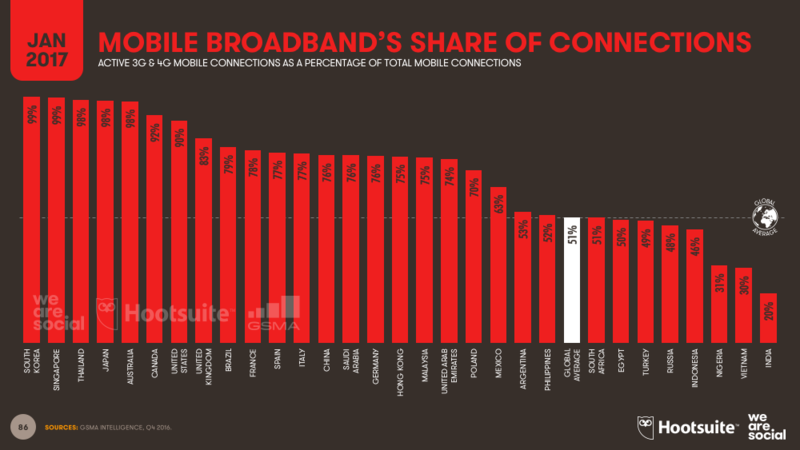 Meanwhile, 3G and 4G connectivity increased by 9% year-on-year, with the result that more than half of the world’s mobile connections can now be considered ‘broadband’. 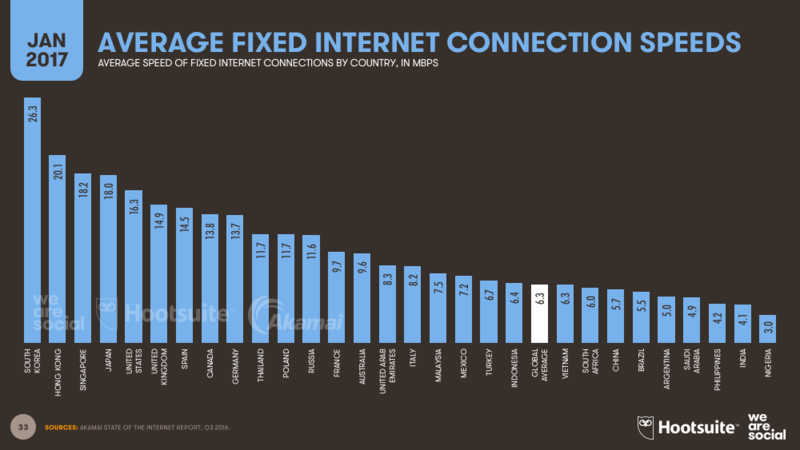 Perhaps surprisingly, North Korea tops the global rankings when it comes to broadband’s share of total active connections, while the country’s neighbours to the south come in a close second. 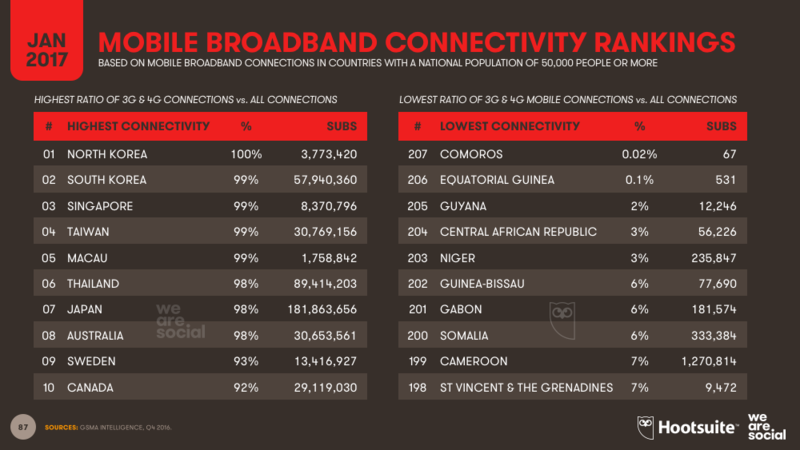 At the other end of the scale, less than 1% of all mobile connections in Comoros and Equatorial Guinea can be considered broadband. 3G and 4G connectivity rates remain below 10% in 13 countries around the world, almost all of them in Africa. 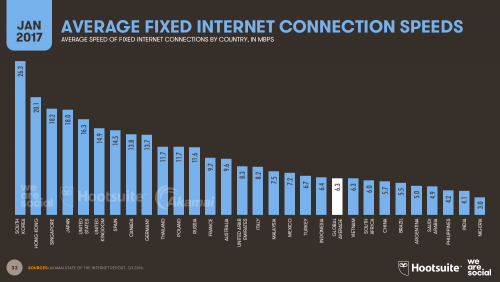 Comparing the number of broadband connections to national populations reveals a different take on the data, with Macau, Kuwait and Finland taking top spots in the global rankings. 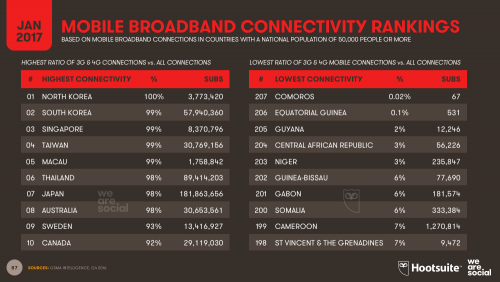 At the bottom end of the spectrum, Comoros and Equatorial Guinea still register the lowest levels of mobile broadband penetration, with less than 1% of the countries’ respective populations connecting to a 3G or 4G mobile network. Android has further consolidated its position as the world’s most-used mobile operating system for accessing the web, as an 8% year-on-year increase takes the platform’s share of web pages served to mobile devices to almost 72%. Apple devices’ share of web traffic has also grown in the past year - albeit by just 1% - but other operating systems’ share of web traffic tumbled by more than 40% in the past 12 months, with the result that Android and iOS now account for more than 91% of all mobile web traffic. 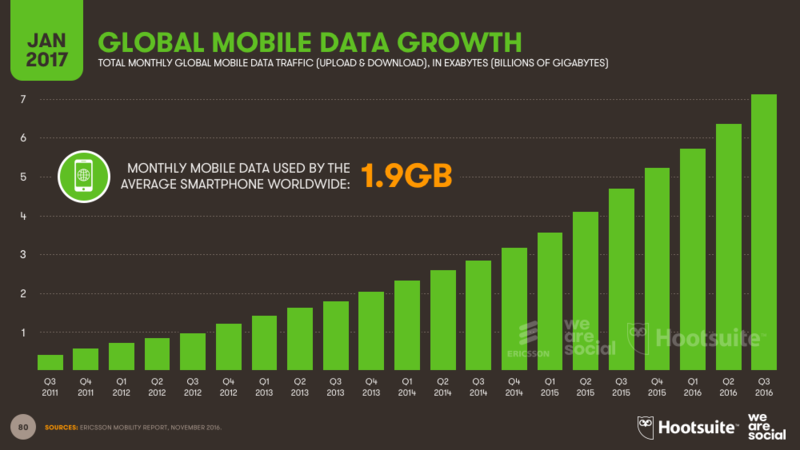 Meanwhile, the rise in the number of mobile internet users, faster mobile connection speeds, and the increased use of smartphones have all combined to deliver a 50% year-on-year increase in data traffic volumes. Total data traffic around the world now exceeds 7 billion gigabytes each month, with the average smartphone accessing nearly 2GB of data every month. It's always tricky to put exact numbers again the value of online shopping around the world, but eMarketer estimate that there were more than 1.6 billion e-commerce shoppers worldwide in 2016, spending a combined total of close to US$2 trillion. 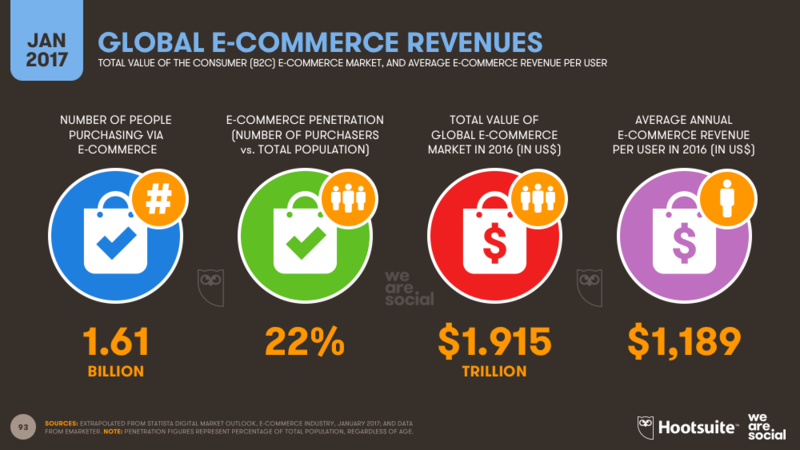 Based on these figures, the average e-commerce shopper spent roughly US$1,189 over the course of 2016 - in other words, global e-commerce ARPU is already in excess of US$1,000. E-commerce use varies significantly across the countries covered in this year’s report though, with the latest data from GlobalWebIndex showing that e-commerce use is highly inconsistent even within the same country over time. 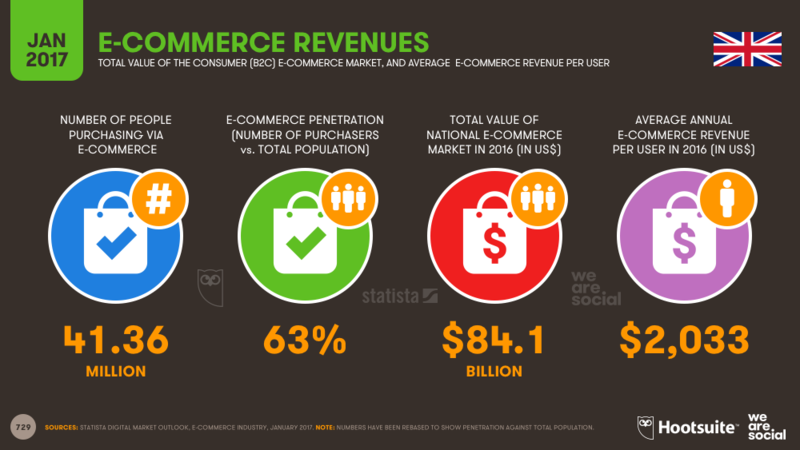 A number of countries in this year’s report registered slight drops in e-commerce usage versus last year, although GlobalWebIndex have suggested that this may be partly due to the increased role of mobile in people’s internet use. 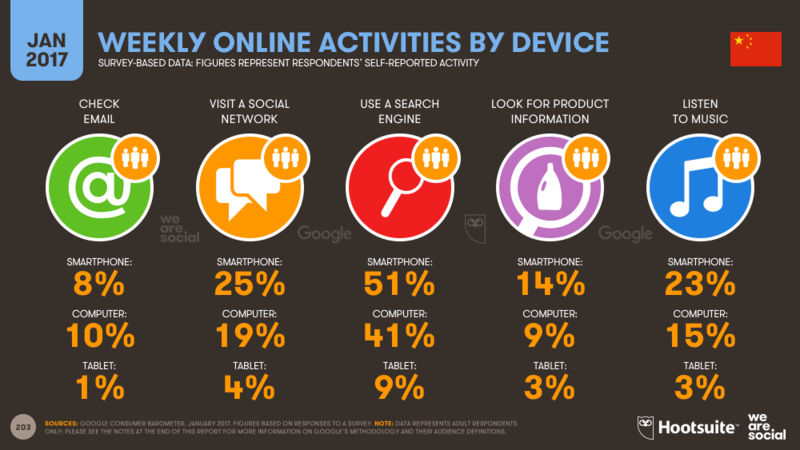 There’s an interesting insight in GWI’s hypothesis too; an individual may be comfortable making purchases on their laptop or desktop computer, but may be more wary of entering their credit card details on sites where the mobile experience is not as ‘convincing’ as the one they’ve become used to in their PC-based shopping experiences. Regardless of the these fluctuations, however, GlobalWebIndex’s data indicate that the total number of e-commerce users in the countries in our study are up 9% year-on-year. 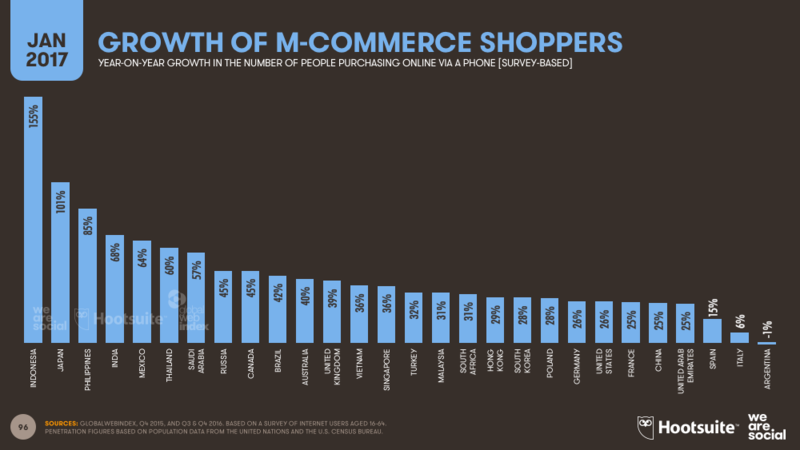 When we focus on mobile commerce though, the rate of increase is even more impressive, with average growth across the markets in our study of nearly 40%. 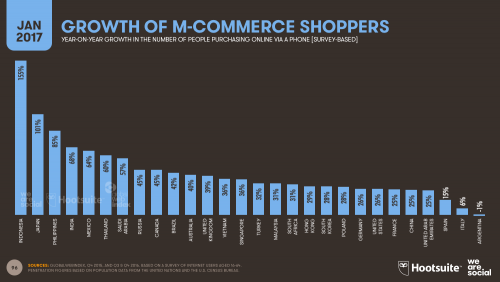 Statista have kindly offered us some excellent insights into e-commerce use around the world via their Digital Market Outlook tool this year too, allowing us to share data for the value of each country’s total e-commerce market, as well as average revenues per user by country. 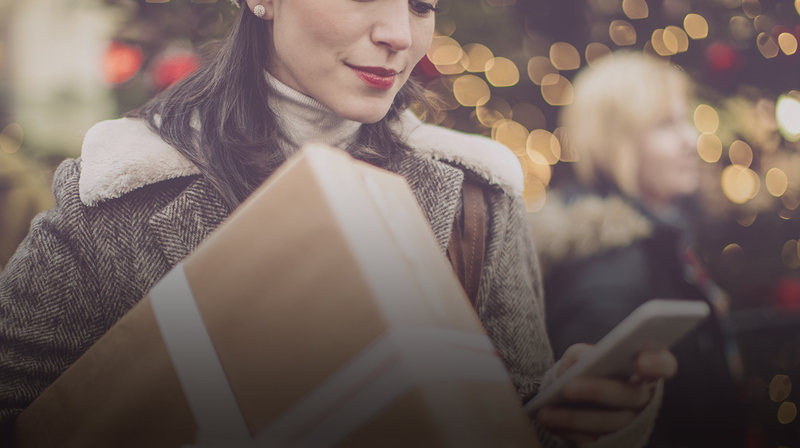 You’ll find all the relevant country slides in our upcoming Digital in 2017 report, but here’s a sneak preview of e-commerce in the United Kingdom. 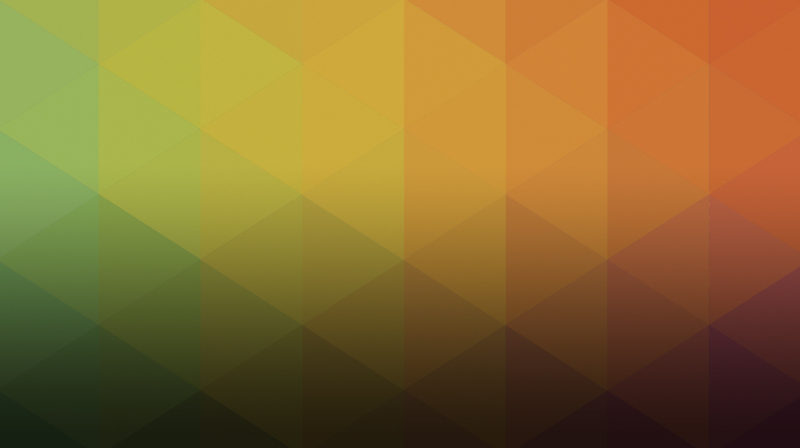 Look out for all of those in-depth numbers over the next few days here on the We Are Social blog. And in the meantime, if you’d like to chat about what these numbers mean for you or your business, feel free to get in touch with me on Twitter or LinkedIn.